Joy Forbes offers this intriguing collection of 85 personal stories and as yet undocumented memorabilia capturing the rich history of an educational past soon to be forgotten. Told by those who attended one-room schoolhouses both as students and teachers, each wonderful story has its own unique viewpoint, providing an enchanting insight into school life from around the turn of the century until 1992 when the last schoolhouse in Ontario closed its doors. A must-read for anyone interested in this fascinating era where the bond between the community and its local school played a crucial role in the day to day lives of ordinary folk. 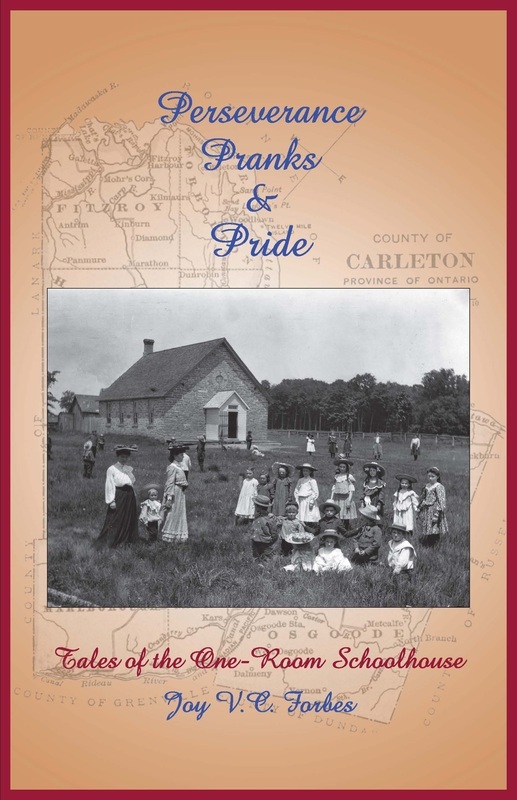 Log on to amazon.ca to order the 3rd edition of "Perseverance Pranks & Pride - Tales of the One-Room Schoolhouse" by Joy Forbes.